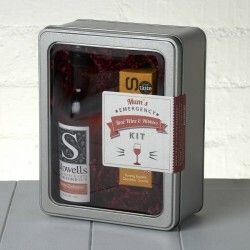 There are times in life when a glass of rose wine and a savoury nibble are the ultimate gift and this crafty Emergency Kit means a special Mum has instant luxury on hand just when she needs it most. All she needs to do is break the seal to enjoy a little bit of 'me time' (courtesy of you). 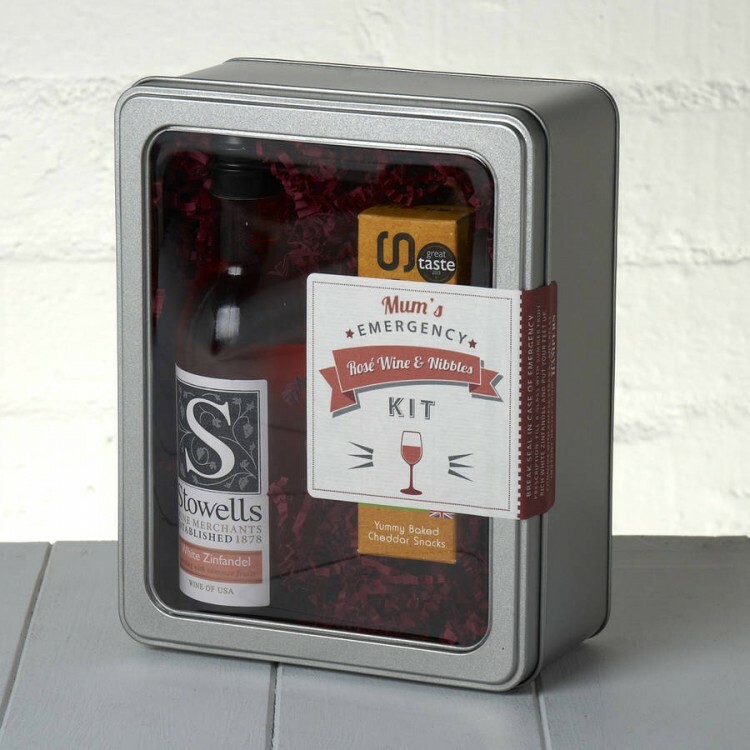 Our Mum's Rose Wine & Nibbles Emergency Kit is an ideal gift for so many different occasions: whether it's a Birthday, Christmas Gift, Mother's Day present or just a fun way to say 'Thank You' or show an appreciated Mum that you're thinking about her. 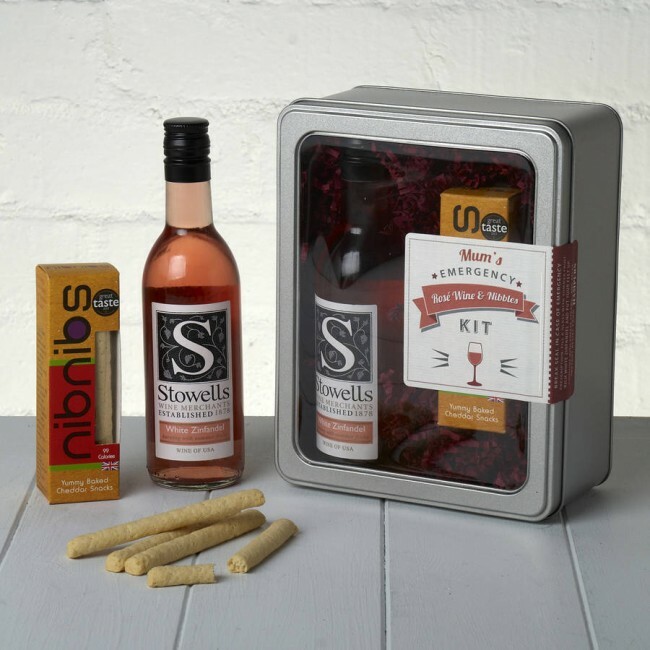 We've partnered a Rose bursting with summer fruit flavours together with Nib Nibs delicious Sour Cream & Chive Mini Bread-sticks for this Mum's Emergency Pamper Kit!